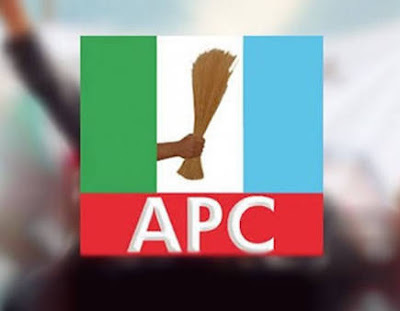 The Kwara State chapter of the All Progressives Congress (APC) has hailed the recent court order restraining the leadership of Kwara State House of Assembly from taking any further action on the purported forgery allegation against Hon. Saheed Popoola, member representing Ojomu/Balogun State Constituency of Offa Local Government Area of the State. In a statement issued in Ilorin on Tuesday by the chairman of the party, Hon. Bashir Bolarinwa commended the court for saving our democracy from the hands of hawks. The APC chairman said that the culture of impunity that pervades Kwara State political space is traceable to the reign of Dr. Bukola Saraki as the Governor of Kwara State. "The cork and bull story alleging that Prince Saheed Popoola filed a fake result while making entries into his nomination forms is as good as calling a dog, a bad name so that he can be fit for stoning and eventual death. "This is the same way, the lord of the manor, Dr. Bukola Saraki had ruled the state with fiefdom to stifle dissenting voices while he held sway as Chief Executive of the State. The story of alleged forgery against our member, Hon. Saheed Popoola was borne out of the hatred Saraki and cohorts harbour against. Hon. Popoola for refusing to defect to the PDP when Saraki directed his lackeys in the assembly to do so. "Saraki couldn't have stood the slightest of any opposition since his days as a totalitarian Governor of Kwara State - the same style he deployed to take away everything away from the State through fiat. "You will recall that Senator Ali Ndume was unconstitutionally suspended because he dared look at Saraki in the face and asked him to clear himself and the Senate in a controversial import of armoured cars without due custom certification. Those cars have eventually been put up for sales by the Customs Service. That was the end of the shady deal. "The same way Senator Ovie Omo-Agege was illegally suspended from participating in the legislative activities for which his people elected him to do. It is clear the genetic make up of the embattled Senate President is averred to criticism, robust engagement and plurality of ideas. This makes him a bad politician. "We are relieved that the judiciary in Kwara State will save our democracy from reeking into anarchy as it is currently precipitated by Dr. Saraki and cohorts in the Kwara State House of Assembly. "We are proud of Hon. Saheed Popoola for holding high the torch of integrity and honor. We are equally grateful to our people in Offa for giving us a courageous and steadfast representative like Hon. Saheed Popoola. "Our members and teeming supporters in the state and beyond are assured that we will not rest on our oars at ensuring that the inalienable rights of our members are protected at all times. And we are confident that the 2019 elections will send the marauders puacking from our dear state".